Frank bold promotes freedom and fairness. We help individuals, companies and authorities to make good decisions. Frank Bold is a purpose driven law firm using the power of business combined with a nonprofit approach to solve social and environmental problems. We are a fifty-person law organisation operating six branches across three European countries. We have been serving individuals, municipalities and businesses since 1995. We promote corporate and governmental accountability, and provide legal support to civil society in human rights, environmental, and anticorruption cases. Our offices in Prague, Brno, Ostrava, Kraków and Brussels, provide specific legal consultations to the public and local NGOs, run legal cases and publish briefings and papers. Frank Bold is showing new ways to combine for-profit and non-profit missions effectively to deliver solutions for current challenges. This type of entrepreneurship requires frankness and boldness to inspire others. Frank Bold is made up of two organisations: a not-for-profit and a law firm. 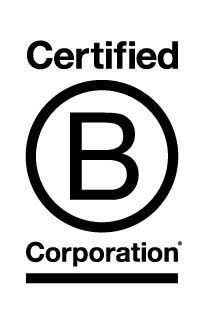 In 2016, our law firm earned B Corporation status, which required it to meet extensive social and environmental standards. Our work is divided into several programmes, each of which addresses different societal issues. We empower people to defend the public interest and develop, promote, and enforce laws to prevent systemic corruption in the Czech Republic. We develop and promote new business models that better integrate societal interests into corporate purpose, governance, and decision-making. We are also active in the field of business and human rights, where we work to bridge global governance gaps and improve individuals’ ability to assert their rights. We develop and promote legal initiatives that support the transformation towards clean and decentralized energy production and consumption in EU countries. We empower citizens and local communities in the Czech Republic by helping them to assert their rights and actively participate in public policy. By supporting individuals and local initiatives, we aim to strengthen civic society, which is the foundation of the solution to the systemic corruption that is deeply embedded in our governance systems. We will deploy all our powerful weapons to help your business with clean energy: we have perfect knowledge of the legislative environment, business practices and trends and technical issues of traffic, and a lot of experience with the procedure of the state authorities. We deal with the legal agenda of dozens of clients – power and heat producers, investors into green power projects, and electric power traders. As lawyers, we work for the most important energy associations. In the complicated world of trade relations, we provide large companies, SMEs, and freelancers with support in all business transactions. Our lawyers are familiar with the needs of their clients and they care about every deal in a broader context to help the clients make the right decision. We have helped to start and launch ambitious business plans. Clients remain with us, so that we could help them grow. We successfully defend individuals, businesses and communities against the intervention of the state authorities. We help municipalities implement the principles of good governance. We have the largest team of lawyers specialized in public law in the Czech Republic. Having a great idea and find a grant or investor is just the beginning. Before you start changing the world with your project, you’ll need to plough through a lot of law articles. We specialize in joint projects of private and public spheres. We understand the language of grants, having gained practical experience in dozens of grant projects. We can help you with the legal steps necessary to transform your idea into a successful business – from founding a company to the preparation of your project for investors or expansion into other markets.